Drawing And Painting Classes In Perambur. A perfect platform for the kids to showcase their talents and to motivate every individuals creativity. Whiz Kids provided this opportunity for the Drawing and Painting students. Here is our kids hand work. All the activities for kids and adults are available in Perambur and Vinayagapuram Centre. Here we go the 3rd batch of 4th Year Summer Camp. Kids engaged in Drawing and painting activity at Whiz Kids Activity Centre Perambur. Today's skill of our kids. Art n craft kids exhibiting their work colourful glass painting and paper bag. Art and craft describes a wide variety of activities involving making things with one's own hands. Art skills have been practised for centuries. Art and craft Summer Camp at Whiz Kids Activity Centre Perambur. Drawing & Painting Classes at Whiz Kids activity centre, Vinayagapuram. A Franchisee of Dessin Academy. Drawings are one of the most primitive forms of children expression and communication. Let your child explore the world of colour. Another busy day for the young Artists at Whiz Kids Activity Centre's Summer Camp. Kids involved in the drawing and painting Whiz Kids Provides activities for kids like Western Dance, Classical Dance, Carnatic Vocal, Phonics, Handwriting, Abacus, Chess, Yoga, Spoken English & Hindi, Vedic Maths, Instruments, Drawing and many more classes available.. For more details contact us or visit our branch. Drawing & Painting Classes at Whiz Kids activity centre, Vinayagapuram. A Franchisee of Dessin Academy. Whiz kids an after school activity centre offers activities for kids like Western Dance, Classical Dance, Carnatic Vocal, Phonics, Handwriting, Abacus, Chess, Yoga, Spoken English & Hindi, Vedic Maths, Instruments, Drawing, Zumba and many more classes available. We have various classes for adults too. Perambur centre offers same type of activities as mentioned above. Drawing & Painting Classes In Vinayagapuram. Children express and interpret meanings in mark making and drawing as well as in speaking and writing. It has been studied that drawings are one of the most primitive forms of children expression and communication and are regarded as an effective means for children to explore their understandings. Whiz Kids Activity Centre provides various activies for kids and adults. Centres in Perambur and Vinayagapuram. 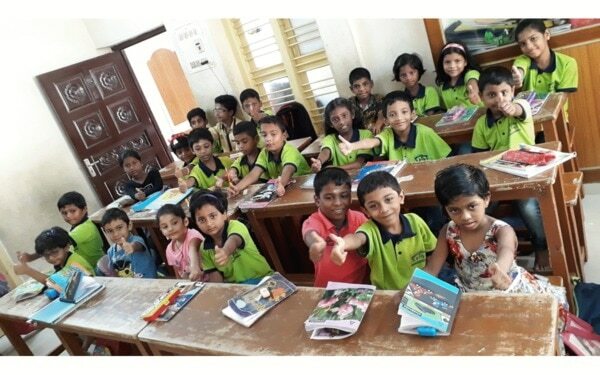 Painting Project Of Whiz Kids Students In Perambur. Drawing allows children to EXPRESS themselves PROCESS their world ... Whiz kids students painted the walls with their creative ideas. All the activities for kids and adults are available in Perambur and Vinayagapuram Centre.